Hello, My Name is Rob and Let’s be Friends! Life is about relationships. No one is ever meant to do life alone. Everybody needs a friend to go with them and a mentor or coach to show the way. Let's connect and go on this journey together and experience an extraordinary life. 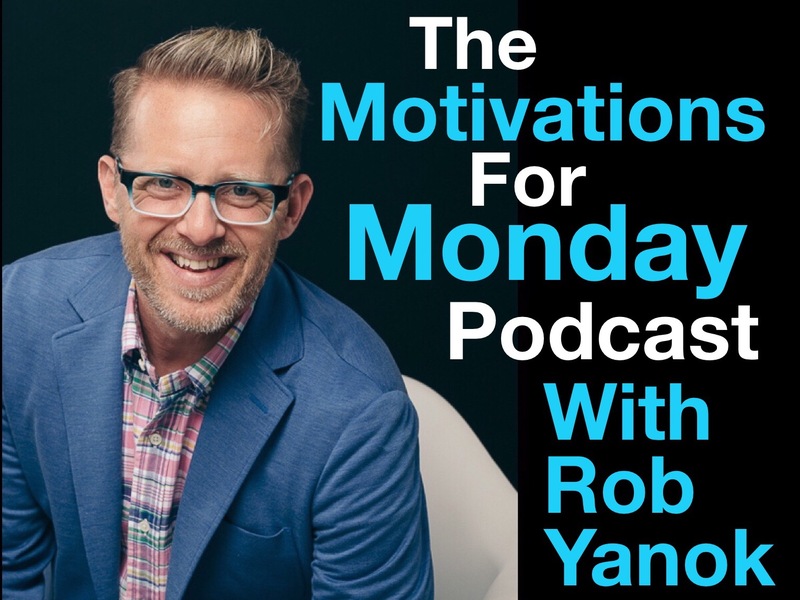 Get your hands on The Motivations for Monday newsletter – and start unleashing the power of unlimited success in your life today! That’s right… this value-packed, FREE subscription is loaded with winning tips, resources, and exclusive offers that will help you break through your fears, jump start your levels of confidence, and skyrocket your success. You can expect to receive this newsletter once per week, with your first edition arriving in your inbox very soon. It doesn’t matter if your goal is to boost your income, deepen relationships, get clarity on your life’s purpose, get in touch spiritually, or connect with your gifts and calling… it’s all achievable – and the truth is, the sky’s the limit! So get ready to make rapid progress toward your goals…because your journey starts right here, right now. Motivations for Monday – my new weekly email that delivers insights with actionable takeaways that will inspire and motivate you experience and live an extraordinary life. Plus Premium access to unique special offers/promotions too! Family: The people you live for, laugh with and love forever. Michael J Fox said, Family is not an important thing. It's everything. This is my everything. Standing (Left to Right): Christian and Grayson, Sitting (Left to Right): Josh Rider, Cierra (Yanok) Rider, Tricia, Rob, Emily, and Evan. If recent history has taught us anything, it’s that nobody goes through life unscathed—no matter how rich, how smart, how talented, or how fortunate they may be. White collar, blue collar, or no collar, there is an undeniable commonality to the raw emotion that strikes people when they are knocked down. you too will gain the inspiration and insight to understand that it’s never a matter of how far you have fallen, but instead it’s about how high you bounce back. 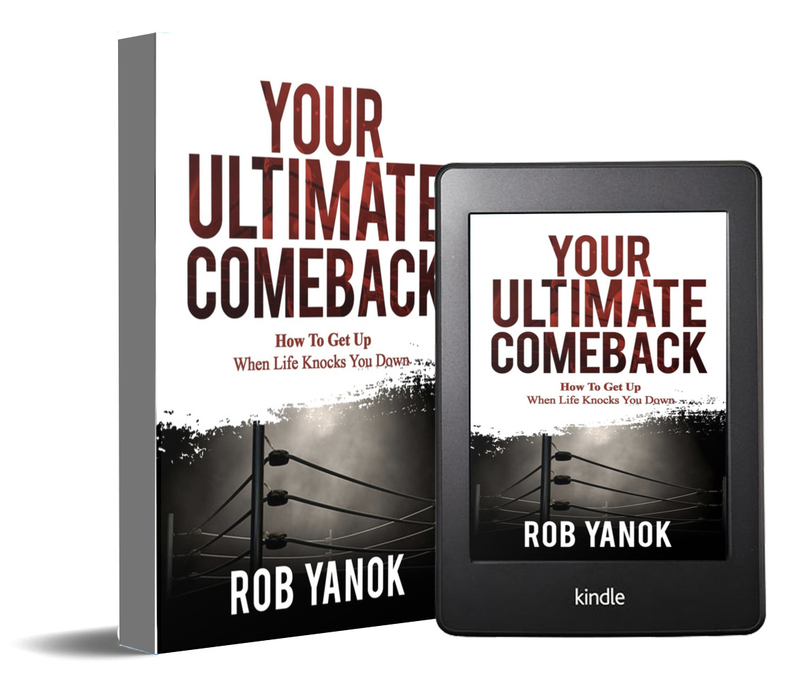 In this new book Rob Yanok will show you strategies, inspire you with stories and guide you step by step into your comeback. You will be motivated like never before to move forward in your life, relationships, career, and business. If you are ready for a new story, fresh hope and renewed passion for life then welcome to your ultimate comeback! Your present situation is not the final destination on your life. A bad chapter is not the end of your story. This book helps you turn the page. You will end up stronger, better, happier, and more successful than you have ever been. If you have experienced a setback and are ready for your comeback, then this is for you.